OceanWise is very sorry to hear the announcement that SeaZone will no longer be selling or renewing licences for HydroSpatial or any of its other marine mapping data. 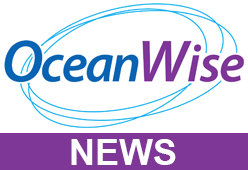 OceanWise, as a licensed reseller of UK and other Hydrographic Office sourced material, is able to offer both new licences and renew old ones, thus ensuring data users continue to have a valid licence to allow them to use the data and avoid breach of copyright. OceanWise provides high quality mapping to meet the needs of the marine community. Its third generation Marine Themes data and seabed Digital Elevation Model (DEM) have been used for many years by the public and private sectors, including within central government and numerous agencies. Raster Charts XL is truly innovative, providing users with the ability to combine a chart background with more suitable and up to date land mapping or satellite imagery.